Counterfeiting is a growing threat to industry: the International AntiCounterfeiting Coalition reports that in 2014 alone, the value of seizures related to intellectual property rights totalled US$1.22 billion. In Part 1 of this article, Julie Chavanne reported on a 2014 survey conducted by ESFI investigating perceptions regarding counterfeit electrical products as experienced by professionals. Among the findings, one-third of survey respondents reported an encounter with a counterfeit electrical product and, even more alarming, they reported discovering an average of five counterfeits within the past 12 months. In this part, the second of two, Chavanne discusses your best defence. A legitimate supply chain is the best defence against infiltration of counterfeit electrical products. A collaborative effort by all sectors of the electrical industry and the public is critical to help reduce the pervasiveness of counterfeit electrical products. To help protect against electrical product counterfeiting, manufacturers should take a multifaceted approach. The first step is to raise awareness about the prevalence of counterfeit electrical products and the associated dangers. Next, manufacturers must collaborate with the government and international organizations such as U.S. Customs and Border Protection and the National Intellectual Property Rights Coordination Center to aid investigation and seizure efforts. Additionally, manufacturers should provide traceability for their products — such as special markings, hidden labels, and holograms — to help authenticate and track them through the supply chain. Distributors, contractors, and electricians can do their part to help prevent counterfeiting by purchasing electrical products from reputable sources. If purchasing from an unfamiliar source, distributors and retailers should check with testing laboratories to be sure the supplier has the right to put a certification mark on the product. If any product seems suspicious, they should contact the manufacturer. 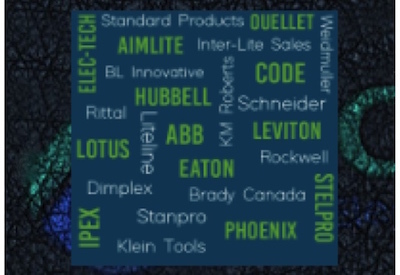 Through the generous support of Eaton, Hubbell Incorporated, Schneider Electric, and UL, ESFI’s Zero Tolerance for Counterfeits program offers a variety of ready-to-use resources that can help to begin the conversation about dangers of counterfeit electrical products. Read Part 1, published in the January 5 http://electricalindustry.ca/latest-news/1871-the-dark-side-of-trade-combating-counterfeit-electrical-products-2 issue of EIN. To learn more about counterfeiting or to get involved in prevention, visit www.esfi.org. Julie Chavanne is Communications Director, ESFI; julie.chavanne@esfi.org. She promotes ESFI through media relations, marketing, public relations, and communications. This article was first published in the December 2015 issue of the National Electrical Manufacturers Association magazine ei.